Blanding's turtle; photo © Michael Benard: www.mister-toad.com (all rights reserved; used by permission). Blanding's turtles, which were classified as a threatened species in Minnesota in 1984, are one of the longest lived turtles (may live over 70 years), but take 18 - 22 years to reach sexual maturity and over 75% of their eggs are eaten by predators such as raccoons, skunks, ravens, large fish, crows, and ants. Even nests not ravaged by predators often fail because of flooding, poor conditions, and other factors. 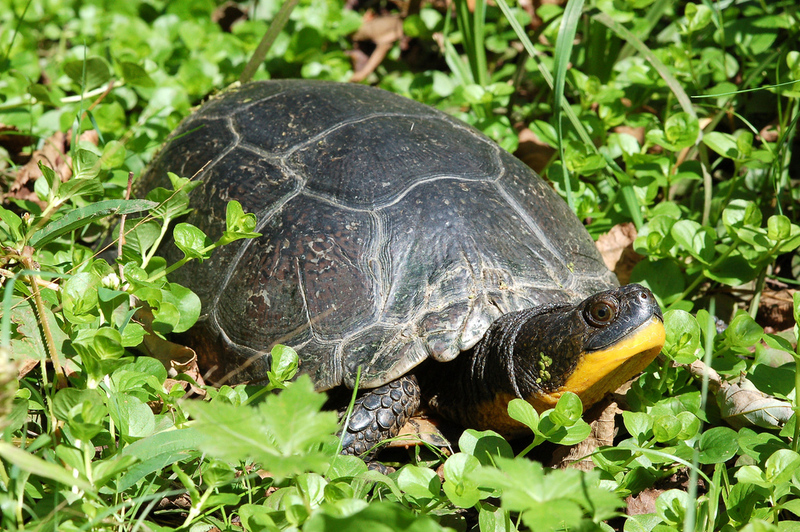 To help conservation efforts, do not collect or disturb a Blanding's turtle, unless seen on the road - if you can stop your vehicle, do so, and move the turtle to the side of the road in the direction it is traveling. 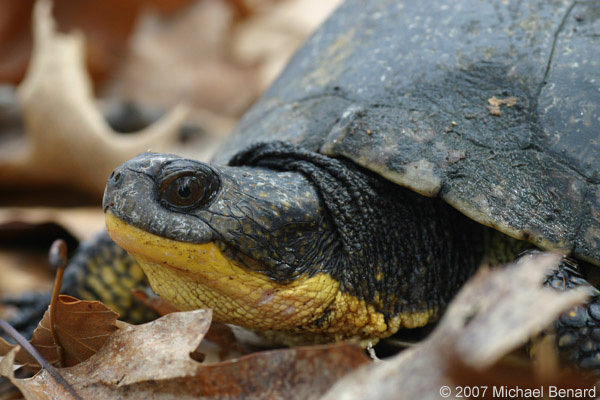 Blanding's turtle; adult Photo by squamatologist/Flickr (noncommercial use permitted with attribution/no derivative works).